Curious to know more about this industry and the people who have defined it? While a quick scroll through Instagram might inform you of the most up-to-date trends and cool brands right now, the best way to dive deeper into fashion’s rich history is to pick up one of the dozens of amazing books on the subject. But there are so many great fashion-related reads on the market right now that it can be hard to know which ones are absolutely essential. To make it a little easier on you, we’ve selected the 15 best fashion books that we believe are crucial to your fashion education. 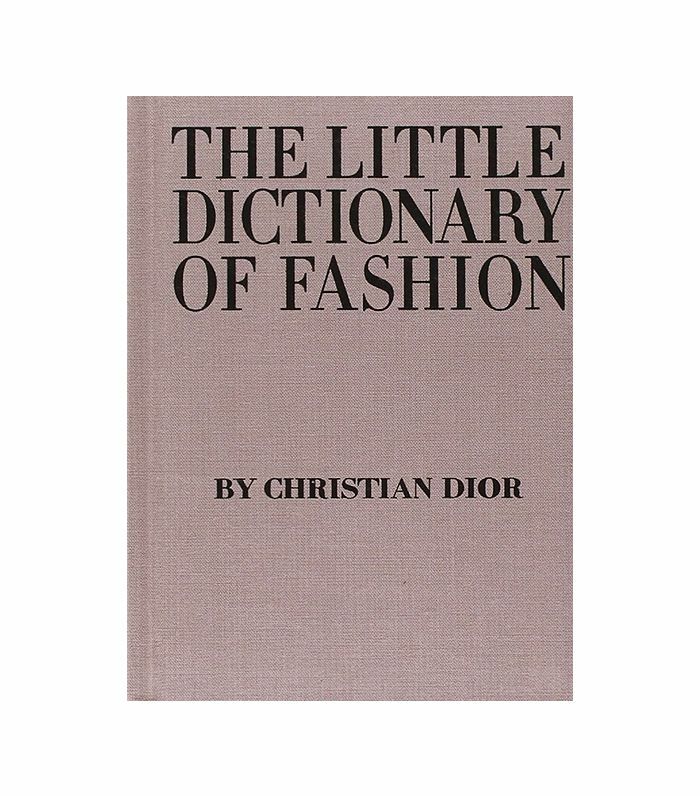 From Christian Dior’s book of essential style tips to Grace Coddington’s witty memoir, these titles cover the groundwork when it comes to who’s who and what’s what in fashion. Scroll down to discover and shop 15 of the best fashion books of all time. Before there were sites like Who What Wear, there was this book, which provides timeless style tips on everything from a wedding to travel attire. Learn how the inimitable DVF went from life as a globe-trotting princess to single-handedly changing the way women dress (and empowering them, to boot). Discover just how important the role of editors has been in fashion with this tome that studies the work of Vogue's legendary editors, including Polly Allen Mellen and Grace Coddington. Agins explores how fashion went from being an elitist industry to one that caters to the mass market, sharing plenty of juicy industry anecdotes along the way. Callahan unpacks the alternative fashion era that was the '90s by focusing on the most iconic personalities from that time. You'll never see any of them the same way! Acquaint yourself with the woman once considered to be "the queen of fashion." Elsa Schiaparelli was even more popular than Coco Chanel in her heyday and is credited with more designer firsts than we can count. Thomas traces how two of fashion's anti-establishment critical darlings fell from grace due to the extreme pressures of the industry. Renowned Vogue editor Grace Coddington gives a witty glimpse into her world, from her early career as a model to her work with Anna Wintour today. Drake unpacks the glamorous fashion world of 1970s Paris and focuses on one of its greatest rivalries: Karl Lagerfeld versus Yves Saint Laurent. This beautifully illustrated read takes you on a journey through the French icon's life, travels, and of course personal style. The 96-year-old fashion icon Iris Apfel has original style in droves. This essential captures her wittiness and unapologetic style the best. Bolton, who is the head curator at the Metropolitan Museum of Art's Costume Institute, celebrates one of the most influential and imaginative designers of his time. Women in Clothes is a celebration by women all over the world of how the garments we wear every day shape who we are. Get to know one of fashion's most famous editors, Diana Vreeland, on a personal level as she recalls her many adventures with this dazzling autobiography. Not many fashion week runways include any sort of catwalk battle—in fact, it almost never happens. But the iconic runway faceoff of 1973 at the famed Palace of Versailles is not a fashion tall tale. In fact, the real story is better than fiction and a piece of must-know industry knowledge. This post was originally published at an earlier date and has since been updated by Anna LaPlaca.